. • EMMIE: Who has sneaked from her husband, rekindled long-lost, naughty passion, and now must make a choice. But their problems have only begun. Once on the island, the women discover that Libby is beset with amnesia, her husband is missing, and a dead body has turned up in the phlox. Through their wits and their wiles, and with no help from Libby, they must solve the murder before one of them ends up behind bars. 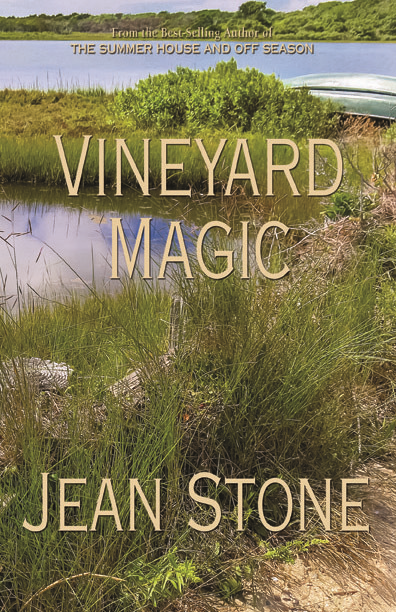 VINEYARD MAGIC is a delicious, fun romp through the chatty, sometimes catty, ups and downs of women’s friendships, and shows that there is true magic in sticking together. 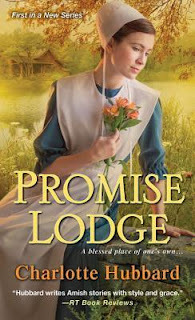 JEAN STONE has been applauded by Publishers Weekly for her "...graceful prose, vivid imagery, and compassionately drawn characters" and by best-selling author Sue Margolis as "...a masterful storyteller." 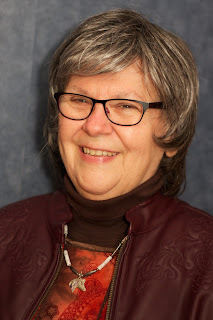 Mary Lawrence lives in Maine and worked in the medical field for over twenty-five years before publishing her debut mystery, The Alchemist’s Daughter (Kensington, 2015). 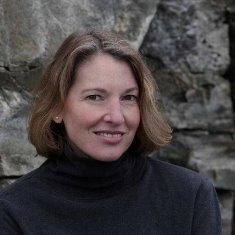 Her articles have appeared in The Daily Beast, The Boston Book Review and Portland Monthly Magazine. Book 2 of the Bianca Goddard Mystery series, Death of an Alchemist, released in February, 2016. 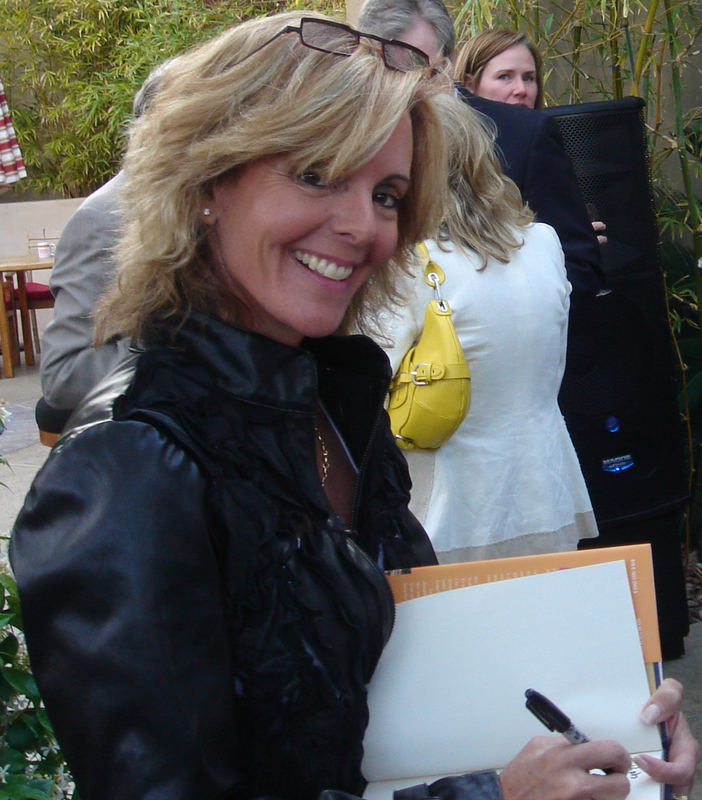 I began writing in my thirties when I was a single parent working as a cytotechnologist. My job involved sitting at a microscope for hours on end, looking at cells for precancerous changes. The only connection I had with my patients was the name on the requisition. I amused myself by making up stories about these people. It grew from there. 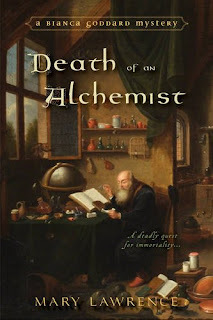 Death of an Alchemist is book 2 in the Bianca Goddard Mysteries, a new series set in the final years of King Henry VIII’s reign. The series features the estranged daughter of an infamous alchemist who makes medicines for the sick. Her medicines are a combination of herbal knowledge (learned from her mother) and alchemy (learned from her father). Death and murder are quite common in Tudor London. Bianca has a curious mind and seeks to understand disease as well as what motivates people to murder. In Death of an Alchemist, the sweating sickness is spreading. Bianca is working on a cure and seeks help from an elderly alchemist. Ferris Stannum has just discovered the elixir of immortality. He seeks to confirm his recipe with a colleague in Cairo, but the next day, Bianca finds him dead and his journal is missing. Bianca believes he died under suspicious circumstances and returns home to find her husband has taken ill. When the journal mysteriously turns up in her room of Medicinals and Physickes, she dares to hope it could contain the secret to his recovery. But possessing the journal comes with great peril. An attempt is made on her life as she works to save John’s, and soon Bianca is caught in a race against time to save her husband as well as herself. I began writing Death of an Alchemist about the time when the U.S. was nervous about an Eboli outbreak. Hemorrhagic diseases have been around for centuries—think Dengue Fever and the Yellow Fever. But because we were not familiar with E boli, a lot of misinformation circulated and a kind of hysteria developed. In centuries past, people relied on superstition and misinformation because there wasn’t any science to distinguish diseases or explain them. In Tudor England, the “Sweat” was a well-known and much feared disease that could take victims quickly--“Merry at dinner, dead before dawn.” I asked myself what it would have been like back then trying to understand a mix of different diseases? Every story or series about alchemy worth its weight needs to address the “elixir of immortality”. Since Bianca stands to lose the most important person in her life and has the chance to cure him of death permanently, I had her wrestle with plenty of philosophical questions. I was also struggling with my own grief at the time. I had lost my favorite cat and a close friend who had supported my writing for years before I ever got published. 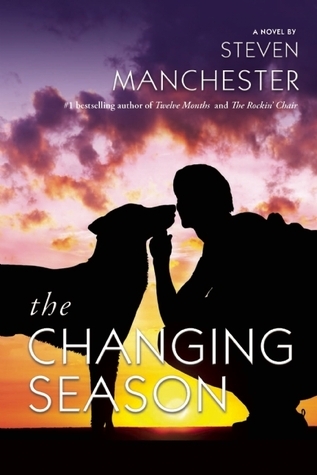 The book helped me work through my loss and thoughts about mortality. My favorite character is Meddybemps. He is a street vendor who sells trinkets, and amulets to ward off evil spirits, but he also sells Bianca’s medicinal salves, and balms. He’s a surrogate father for Bianca since she is estranged from her own. Meddy is randy, loves to think up off color patters to sell his wares and suffers from latent syphilis. His morals are always slightly skewed, but he adores Bianca. He is a lot of fun to write. Quite bumpy! I wrote for over 20 years before I was offered a book contract. I was good enough to get an agent after five years, but never sold anything. I was drawn to historical fiction, but finally after wrestling with an original manuscript for The Alchemist’s Daughter, I decided to take my favorite characters and drop them into a mystery. I had never tried writing one before. At that point I didn’t know if I would ever get published, but it had become so much a part of my life that I couldn’t give up. I would have gone to conferences and participated in pitch sessions years sooner. It takes a lot of guts to do them, but I’m convinced it is a quicker path to publication, though I still got my current agent the old fashioned way—through a query. 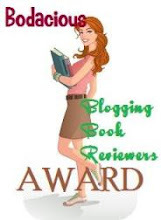 I also think it is important to enter contests and get anonymous reader feedback. Some critics are brutal and may have their own agenda, but you have to be able to sift through and find the truth to make your work better. My book is available in trade and ebook versions at Barnes & Noble, Amazon, BAM, Kobo, Target (online), and independent bookstores. In book 3, Death at St. Vedast, Bianca hobnobs with the well-to-do merchant class. A pall is cast over their friend’s nuptials when the body of a pregnant woman is found beneath the bell tower where Boisvert and his wealthy bride are to be wed. But when the bride suddenly drops dead at her reception, Boisvert is accused of killing her. To prove their friend’s innocence, Bianca travels to a country village to learn about a series of deaths of similar nature. If Bianca can determine what killed the bride, she may find the person(s) responsible, before more victims succumb to an unpleasant death. I take a different angle writing historical fiction. My interest is on the commoner in this series, not court intrigues and silk gowns. The Bianca Goddard Mysteries doesn’t take itself too seriously. My first desire is to craft an engaging mystery with interesting characters, then set the stories in a time period that has rarely been looked at through the eyes of the common man. The books are a quick, engaging read with a little creep. I went to four colleges as an undergraduate and finally ended with a BBA and a MA at the University of Georgia. I have had two marital failures and I’m now 70 years old and engaged to marry a third time. 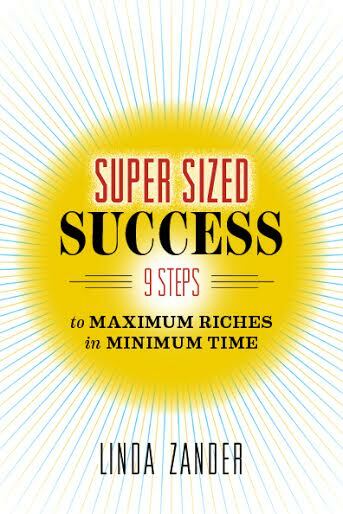 I had a successful 29-year career as a CPA, became a multimillionaire through inheritance in 2005 and have had multiple ventures since then. I was born in Decatur, Alabama. Then my family moved to Newton, Mississippi when I was a month old and remained there until I was in the fourth grade. From then through high school we lived in Douglas, Georgia. I had a wonderful baseball game in little leagues. I was playing center field and caught multiple balls, which in effect won the game for our team. My father had an interest in the radio station that broadcast the game and they interviewed me after the game. January 2, 1998. I woke up and just was compelled to begin writing things down. Usually I write when I’m inspired to write and that can be anytime and anywhere. 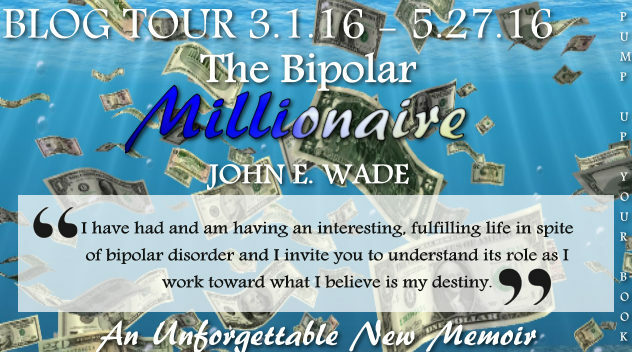 The book is about my unusual life including my bipolar disorder and how it was cured by extraordinary means. 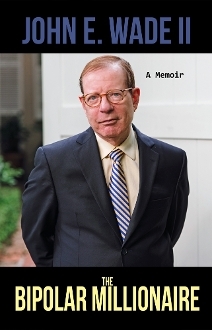 I wanted to share my story in an attempt to help diminish the stigma surrounding mental illness, so when an intellectual property attorney suggested I write a memoir, I decided to do so. No, my editors help me. 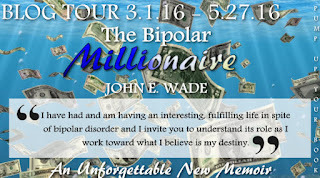 I don’t have one, but I would love to find an agent to help with the filming of “The Bipolar Millionaire.” A screenplay is already being written for it! Amazon, any bookshop can order it, or you can go directly to my publisher’s website, SunburyPressStore.com, and find it. Write and write and write—the best way to learn is through doing. My upcoming wedding and honeymoon! Also, I’m currently working on a book of Ronald Reagan quotes with another author, Daniel Agatino. I’ve been told that this book is a page-turner; it’s an honest account of my life and it’s quite unique. I hope everyone will enjoy reading it! 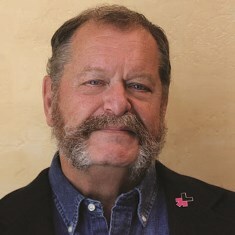 Neal Katz is a serial entrepreneur and CEO. He harbors a passion for women’s rights and his lifestyle is centered on self-awareness and love. His novel “Outrageous: The Victoria Woodhull Saga, Volume One: Rise to Riches” (thevictoriawoodhullsaga.com) spotlights gender prejudice, exposes early manipulation of “free markets” and reveals how political power structures used prison and seizure of assets to prevent innovation and social change. Katz has pledged 50 percent of royalties from his book and all ancillary revenues to a foundation formed in tribute to Victoria Woodhull and her passion for woman rights. 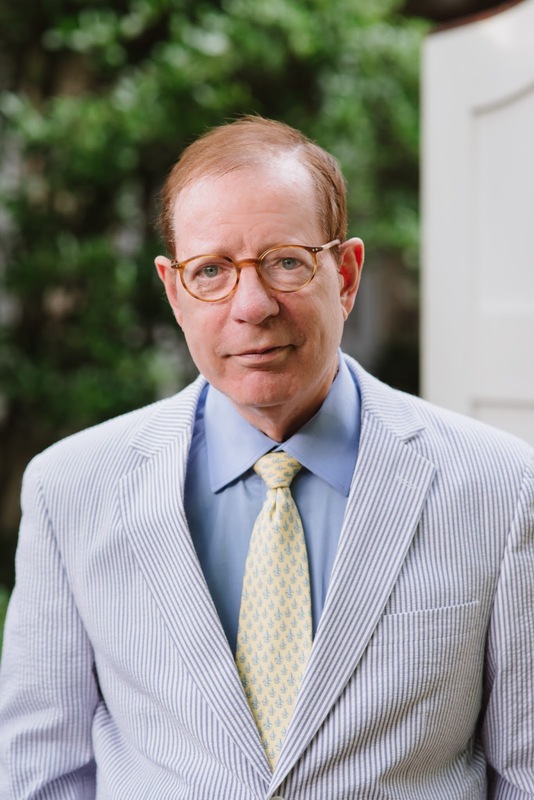 Katz promotes a new financial paradigm to create jobs, called Conscientious Credit Funding Organization (CCFO), which could provide renewable funding for diverse charitable endeavors, such as micro-finance, low-income housing, education and vocational training, and infrastructure renewal and development. I grew up in West Los Angeles, California where both my parents taught and studied at U.C.L.A. I began seriously writing for Business. I would create business plans, advertising campaigns, internal corporate proposals and investment proposals. I also drafted the registration statement, the SEC-1 on the Company I took public. When I decided I wanted to write fiction, I found a copy of Dorothea Brande’s, Becoming a Writer. 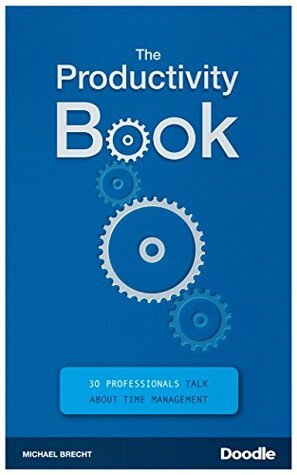 I followed the simple instructions and within 4–6 weeks I became a more productive writer. I consistently and passionately hone my abilities, and each time I write it gets better and better. There seem to be two time frames that work best for me, upon waking and late at night. I have never been one to adhere to schedules very well. I guess my best answer would be when the muse compels me to write. Outrageous is about unfailingly believing in one’s self and a vision with such fortitude that any barrier can be overcome. The story depicts the horrific ways women were treated in Victorian America. The saga also covers how men in power use prison and the law to suppress the social, economic, and legal advancement of women. It also covers some of the original manipulations of Wall Street and the Gold Exchange—behaviors present today. I call the book “herstorical faction,” because it is about an historical figure, Victoria Woodhull, and it is based on the events portrayed as I imagine she would experience them. 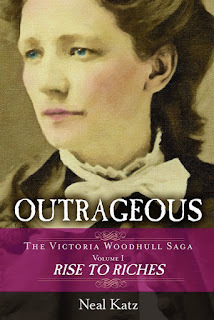 Outrageous tells about the journey and the long, impactful lives of Victoria and her sister, Tennessee Celeste Claflin, who broke every barrier known to women of the day. They opened the first women-owned brokerage firm on Wall Street, and published the first women-owned newspaper. Victoria was the first woman invited to address Congress, and she was formally nominated and ran as a candidate for POTUS, in 1872. There are many uncommon parallels between the lives of Victoria and Tennessee and my own. Having to create the full psychological reality of the two allowed me to deal and investigate the influence of early traumas in my own life. Ultimately it is a story of triumph and accomplishment, something I still aspire to. Would you ask a mother which is her favorite child? That said, there is one key character that is totally fictional, so I would say I gave her life more than the others. I’ll let the readers try to identify her. VERY bumpy! The industry is in chaos, which sometimes is necessary for a big shift. The amount of time it takes to sell a book—with a major publisher or indie—almost prohibits having the time to keep writing! Close to everything! Yes, I would have started marketing myself and my book from the moment I committed to writing it. The few times I hired less than the absolute best, I had to hire again. For a first time writer the choice of story editor is absolutely crucial. I was lucky I had a great one, same with cover and internal design. Copy editing is a challenging job, and I had to hire several individuals to accomplish this task, better to hire the best. Initially, I hired the wrong public relations firm, so be sure to carefully vet whom you hire and beware of those promising unrealistic results. The truth is, it could take many thousands of dollars before you sell one book. Available in hard cover, paperback and ebook versions. 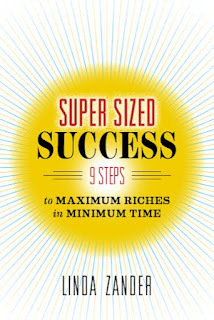 I hired a wonderful videographer and film director to create several videos to promote both myself and the book. Here is the link to the Outrageous YouTube Channel playlist. For producing a quality book, hiring a top-notch editor and having the cover professionally designed were both good investments. For promoting the sales of a book, I do not know yet. Chocolate! Be honest and know your purpose for writing. IF it is to make money, stop and get a job as a volunteer in a school or hospital, or become a greeter at your local big box store, you will be $$$ ahead in the long run. If this is a pursuit of passion and you are just starting, write! Then write, write, write and write some more. Then hire the best and toughest professional story or genre editor you can find and afford. 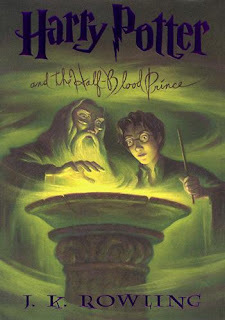 There are three more volumes in the saga to fully tell the whole story. One figure in the book stands out begging for a more detailed portrayal, and that is the robber baron industrialist, the Commodore Cornelius Vanderbilt. 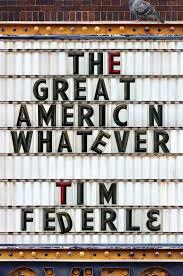 My pick for this week The Great American Whatever by Tim Federle. I grew up in small towns around the Chesapeake Bay area. 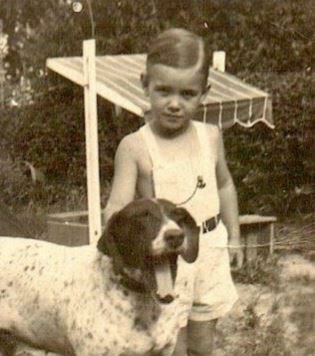 I have a few - My bird dog, Jeannie, and my Boston Terrier, Toby. Going to baseball games with my dad and hunting and fishing with my Uncle Marvin. I began writing academic works in the 1960's and published 120 works over a forty year span. 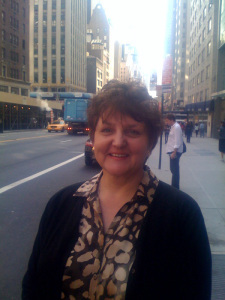 I started writing fiction in 2012 after I retired as a Clinical Professor of Surgery. I have published five novels since then with two more pending in 2016. The majority of my writing occurs in early morning when my thoughts are fresh. 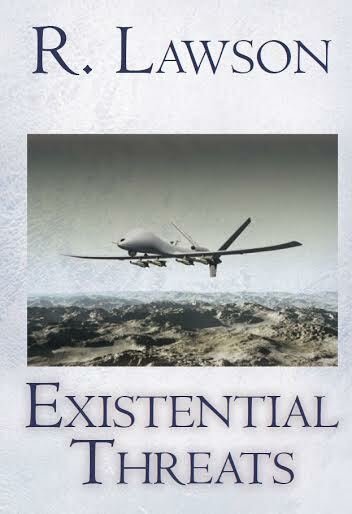 The two latest novels I'm promoting were published in 2015- Existential Threats and The Carrington Prophecy. The first deals with the global threat of radical Islamic jihad and the CIA's and allied agencies’ efforts to stem the tide of terror. The second is about a threat of a surprise EMP (electromagnetic pulse) attack from North Korea knocking out our power grid, pitching the United States into a dark age and leaving the country vulnerable to a conventional attack. In view of recent events reported in the news, both of these scenario are conceivable and pose real terror threats. The protagonist in each novel is Biff Roberts, the CIA's counterterrorism (CT) director. The fast-paced action covers several continents leading to a thrilling conclusion in both stories. The alarming daily events, basically- The tragic global trends, conflicts worldwide and heinous atrocities. We live in a dangerous world with a lot of people who want to kill us and destroy what the United States stands for. 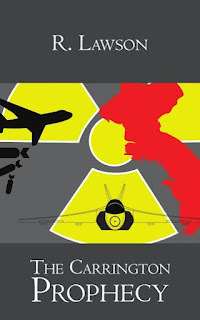 This is what I write about - dramatizing stories regarding contemporary threats. I'm imaginative, but I can't make all this up. Real-time events can make thrilling stories if told in a convincing manner, taking the readers to foreign destinations with protagonists they come to identify with and root for as they fight the adversary and thwart the threat. I really like to read Clancy/Greaney for techno-thrillers. I enjoy reading Flynn and Baldacci for pace. And for unique story lines? Langercrantz, Larsson, Silva and Higgins. I would love to have an agent, but for the time being have self-published to get my novels out there. I am fortunate to be part of the Amazon White Glove program. Being involved with Amazon White Glove makes what could be a really challenging process pretty seamless. Yes, I do. More information about the novels and purchase links are on my website, www.RLawsonAuthor.com. 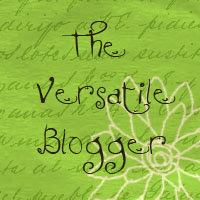 And, my blog can be found at http://rlawsonauthor.com/category/blog/. Don't give up. Keep writing, reading and improving. 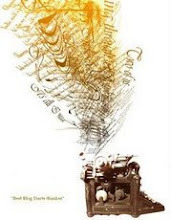 I hope to publish two new novels in 2016. The first is Recall, a fictional historical narrative about Vietnam and the aftermath in San Francisco in the 1960’s. 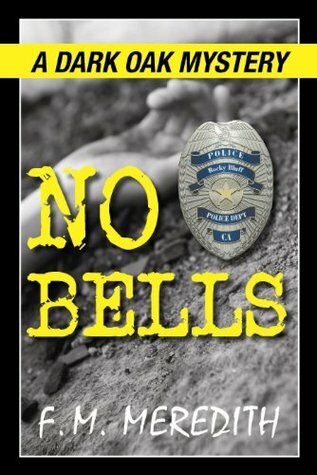 This is a little different from my previous five novels and has been a fun challenge to take on. Then, I'm back to thrillers with Zachor, set in Israel and Palestine. I'm five chapters into it so far. Happy Monday! We've got some rain, sleet, and a bit of hail here today. It's certainly a bit cooler than it has been lately. This week's question is a bummer for me simply because it reminds me how little reading I manage lately. I'm only reading one book a month, maybe two. Work is crazy and I am overcommitted in so many ways. On the upside, I have plenty of reading material to get through. Here are just some of the titles I am reading or will be reading soon. 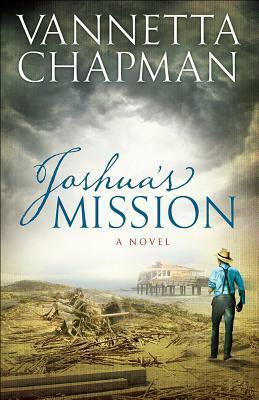 I just started the newest from Charlotte Hubbard. 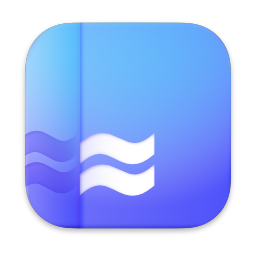 Reviewing it on April 1st. Reviewing the above on April 8. Reviewing this one on June 9. 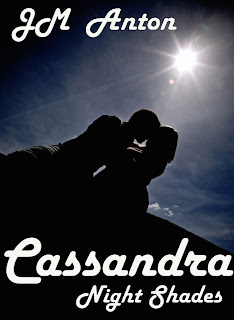 Cassandra Hoffman orphaned at the age of five was raised by her maternal grandmother. Two decades pass when she is confronted with a letter from her father’s Denver based attorney. She's shocked to learn that her dad lived through the car crash that took her mother and brothers in 1985. Stokes was already at the bar when Big Joe arrived. The PI was a smidgen under six foot, and not very impressive. That fact and his patient persistent nature served him well and enabled him to blend in almost anywhere. His light brown receding hairline and brown eyes framed by wire-rimmed glasses didn’t garner much interest. An overly attentive young hostess escorted Big Joe to his usual table at the back corner of the dining room where he had an excellent view of who came and went. He had more than a few enemies. That was to be expected. He was a rich, ruthless, powerful man who was about to move JD to the top of his enemy list. Stokes ejected it and gave it to his client who dropped it into the packet with the rest the results from his assignment. Stokes didn’t like the sounds of the implied threat, but he caught the next flight back to Cleveland. The author will be awarding a "Wind River Refuge" autographed paperback to a randomly drawn winner (US ONLY), or a Smashwords coupon for a "Wind River Refuge" E-book for an international winner, via rafflecopter during the tour. For more information please visit Mary's website. You can also find her on Facebook, Twitter, Pinterest, and Goodreads. 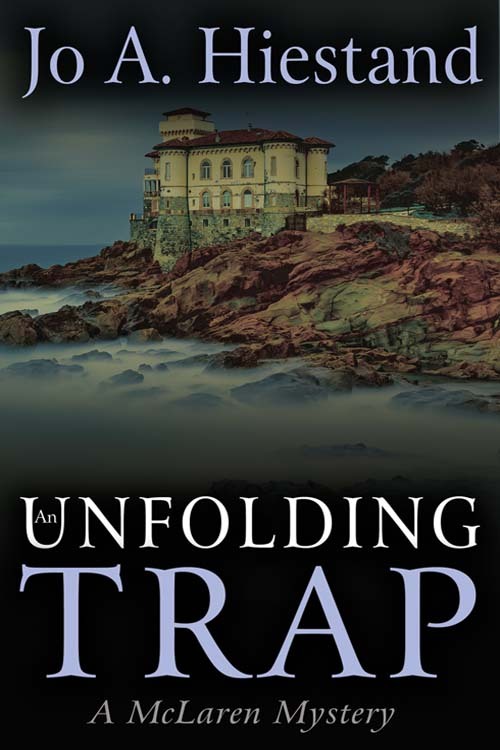 Author Jo A. Hiestand is touring with her British mystery, An Unfolding Trap. BLURB: Since his infancy, Michael McLaren has been the target of his paternal grandfather’s anger. So when the patriarch sends an invitation to heal the rift, McLaren travels to Scotland, eager to meet and finally end the feud. But the welcome never happens. If Grandfather hadn’t invited him, who had? And why? In Edinburgh, a man standing beside McLaren in a bus queue is killed in a hit-and-run accident. After an attack leaves McLaren for dead on a wintry moor, he’s convinced someone from his past is trying to murder him. As McLaren trails the hit-and-run driver from the medieval ‘underground city’ of Edinburgh to the Boar’s Rock the MacLaren Clan’s ancestral meeting place the assaults intensify, and he’s plunged into a very personal hunt for a World War II treasure. The puzzle is fascinating; he just has to stay alive to solve it. COVER: What a lovely cover. The setting is bound to lend itself to beautiful photos, but the dark colors contrast nicely against the castle bricks and the fog on the water reminds me of the confusion McLaren must feel upon learning he's been duped into going to Scotland for some reason. FIRST CHAPTER: Intriguing to say the least. We first meet McLaren as he has awoken from a dream. Quickly the author moves us to the conflict: McLaren discovering that his grandfather hadn't really invited him to Edinburgh. While I would prefer the opening chapter start with the second paragraph--the first one seems unnecessary and shares with the reader something the main character doesn't know (which I personally don't care for)--the first chapter still draws me in hook, line and sinker. It's great that the reader gets a chance to meet McLaren first. This allows her to learn a tiny bit about his family so that the senses are heightened when he meets his grandfather. The author goes about quickly defining not only the conflict, but the mystery of who could have invited McLaren to Edinburgh and why. Definitely a book I would keep reading. 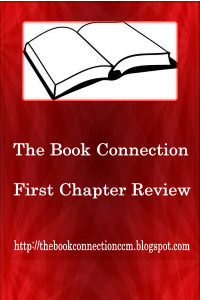 I received chapter one of this book from the author through Goddess Fish Promotions. This review contains my honest opinions, which I have not been compensated for in any way. Jo A Hiestand will be awarding a $25 Amazon GC to a randomly drawn winner via rafflecopter during the tour, and a silver Celtic design pendant on a silver necklace and a CD of the song featured in the book - international shipping to a randomly drawn host. Sophia Stone knew life held few absolutes: good wine is art, good Italian cooking is passion, a good child is a gift, and good news never comes in a certified letter. “You sure this is for me, Tito?” she asked the postman who thrust an envelope toward her. When she tilted her head she could read the word “Certified,” stamped in red like a guilty verdict across the front. A heavy-set man, Tito had a ready smile and an easy, engaging manner. Each day while delivering mail, he also traversed the valley searching for tidbits of gossip with the zeal of an Army battalion scouring the countryside for insurgents. St. Helena was a small community where the denizens believed mining each other’s business was an inalienable right granted on the theory that without the titillation everyone would fall over dead from boredom. “Yeah, looks like it’s from Charlie. Certified, too.” Tito didn’t have the decency to hide his interest as he mopped his face with a dirty handkerchief then stuffed it back into his rear pocket. The wiping didn’t help—a sheen of sweat still covered his ruddy cheeks. August had been hot with no break in sight. Sophia eyed him. She wouldn’t put it past him to have already steamed open the letter, a thought that made her a bit nauseous. Why had she thought a small town in Napa Valley would be a good place to hide? Tito looked like a bully when his bluff was called. He shrugged—an exaggerated movement that seemed like the shifting of a mountain—but a noncommittal answer, leaving Sophia certain whatever was in that letter would be spread around the valley and germinating in imaginations as rapidly as seeds on a spring wind. At an impasse, Sophia and Tito stood there, the letter between them, Sophia delaying the inevitable. Unfortunately, with a dinner to cook and a cake in the oven, Sophia didn’t have time to see if she could outlast him. So, with a sour downturn to her mouth and a knot in her stomach, Sophia took the letter. Tito motioned for her to flip the envelope over. “There on the back, that green card? You need to sign that.” Handing her a pen, he waited for her to sign, then tore off the return receipt, pocketing it. Confirming the return address, Sophia gave him a distracted wave as he climbed back into his truck. “Thanks, Tito.” A perfunctory nicety. 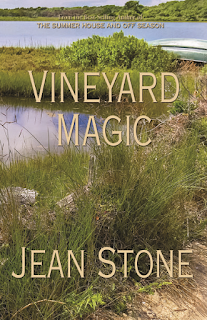 “Sure thing, Ms. Stone.” In a shower of gravel, he gunned the mail truck back through the vineyard down the winding driveway leading to the valley floor. Sophia glanced up as the trees enveloped him and her normal quiet smothered the sound, wiping away all vestiges of his presence. Charlie had owned this patch of five acres on the top of Howell Mountain since his parents had died in a small plane heading up from L.A. over thirty years ago. Sophia had lived here for fifteen of those years and, through feast and famine, the ups and downs of the wine industry, she’d never received a certified letter from Charlie. In fact, she couldn’t remember having received any letter from Charlie. Their business dealings were usually hammered out at the kitchen table over a bottle of wine and sealed with a handshake. Napa Valley was a handshake kind of place. Sophia reached up and rubbed the worn piece of iron Daniel had nailed to one of the porch supports. Tocco Ferro. Her family had been steeped in the ways of the Old Country; her husband had become a believer. Touch iron to ward off bad luck. Being a bit too pragmatic, Sophia didn’t necessarily believe, but it couldn’t hurt. God knew she’d had enough rough patches. With a finger, she traced the initials the four of them had carved in the porch support. Time had whittled their number to one … almost. Tapping the white legal-sized envelope on her open palm, she squinted against the sun as she looked out over her small patch of heaven. A rolling hillside with a couple of acres under vine, grapes from the Old Country, grafts of her grandfather’s original vines. A small garden flanked the house. Her own private retreat sheltered from prying eyes by a ring of trees. 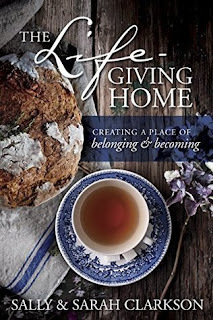 The farmhouse had been billed as a “fixer-upper.” She and Daniel had packed up the kids, moving up valley from the Bay Area, and spent the next several years making the remnants of a house into a home. They’d bribed the kids into helping by letting them paint their own rooms. Dani had picked pink, hot pink. As if the view from his window wasn’t enough, Trey had chosen wood paneling and a bucolic scene of vineyards on one wall. When he’d moved away for college, Sophia hadn’t had the heart to change it. Perhaps she’d harbored the hope that he would come home someday. He hadn’t. Now Dani was poised to fly. Soon Sophia would be alone, the house emptied of youthful buoyancy. The prospect filled her with dread. Stripped of purpose, she half-feared she would grow brittle like the old vines until the weight of loneliness shattered her into bits and pieces of who she used to be. When Daniel had been killed, she’d had the kids. Now the false friend of sadness stayed ever near, her house echoing with memories. But memories didn’t make a life any more than the past made a future. However, the past was her tether. Without it, Sophia felt she would float away like a balloon loosed to the sky, growing ever smaller until vanishing from sight. While the house cradled her past, the rows of vines just reaching their peak marching down the hill across her two acres held her dreams. Her grapes, started from grafts from her grandfather’s stock back in Italy, each juice-filled orb bursting with hope, with promise. Her life’s work hanging on the verge of a promise. 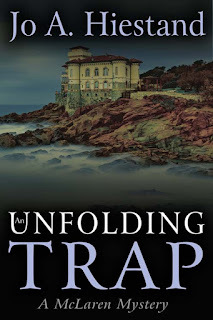 Through the screen door, the aroma of a cake on the verge of disaster wafted into Sophia’s consciousness, and she turned and bolted for the kitchen, the screen clattering shut behind her. With a dishrag to protect her hand, she opened the oven. The smell of chocolate carried on billows of steam engulfed her. She waved it away, squinting through the heat. She deposited the cake pan on the stainless steel countertop. Pressing her thumb lightly on the cake, she let out her breath in a long rush. Just in time. Her mother loved chocolate cake. Sophia planned to visit her this afternoon. Perhaps a peace offering would soften her harsh moods of late. Sophia spied the letter, pristine white and accusing, laying casually on the sideboard where she had tossed it in her haste. Without further thought, she stuffed it in the old cookie jar on the countertop and crammed on the lid. That cookie jar held a lifetime of happiness and heartache—her marriage license, the kids’ birth certificates, Daniel’s death certificate and obituary—it could handle the letter as well. Whatever problem lurked inside that envelope, it could wait. Leaving the cake to cool, Sophia strode through the door to the porch, pushing through the screen and down the steps. 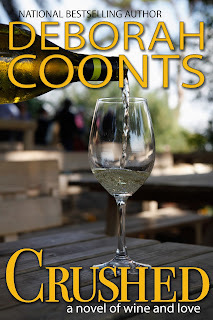 The grapes, fragrant in the midday sun, neared perfection—harvest a few days away, at best. Sophia had plans for those grapes, unique varietals that would make unusual yet palatable wine … if she could just figure out the last piece. She was close, though, closer than ever before. 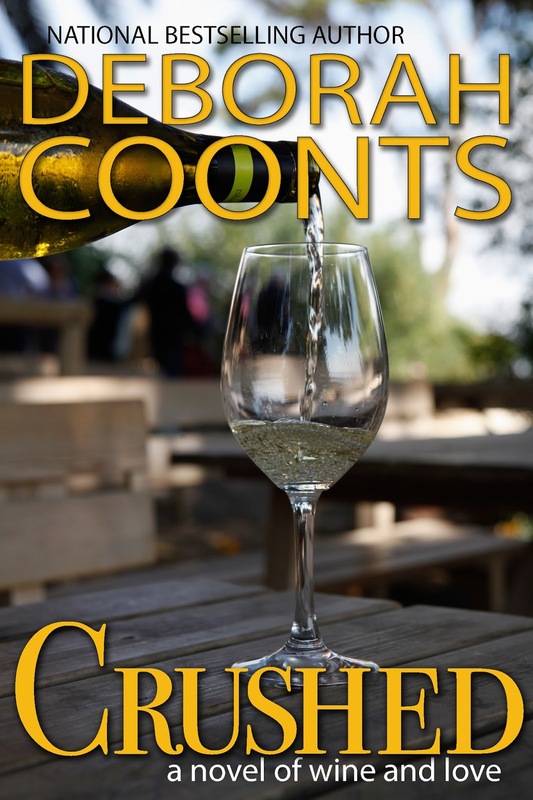 Grapes—creating them, growing them, cajoling them to trust her—they were her true passion. Unfortunately dreams didn’t pay the bills, as her mother never missed a chance to bludgeon her with that little bit or ironic reality. So Sophia had to sell her skills to pay the bills and now found her days consumed with tending to grapes owned by Pinkman Vineyards, one of the vast commercial operations in the valley, that turned her carefully nurtured grapes into mediocre table wine. She walked the rows testing the scent once more—the perfume of near perfection as her grandfather called the sweetness of grapes. Memories filtered through the shadows of time like wraiths, translucent, elusive … fleeting. When she quieted, stilled her mind and opened her heart, Sophia could hear his voice, rich and deep, his laugh, and smell the scent of earth and sun that clung to him, the wine on his breath. But, she couldn’t see him anymore. Like sun on paper, time had weathered and faded her mental pictures until only shadows remained, as if the present was slowly erasing the past. Worry dogged her, the letter and its unknown message on her mind as she tended to each vine, brushing back the canopy, weighing the clusters. This far along in the season not much remained to do; nature would run her course. This year Sophia had planted wildflowers and grasses under the vines to entice the bugs and keep them off the fruit. The plan had worked well, as had her choice to prune more aggressively than normal this past winter. Under her care, her grandfather’s grapes flourished, and just now they were beginning to trust her, to give her their best. This year’s wine had the potential to be the stuff of dreams. At the far end of her property movement across the fence caught Sophia’s attention. Shading her eyes with one hand, she still had to squint against the assault of the sun. Her next-door neighbors had sold their property recently to Specter Wines, a new player with new money. Scuttlebutt had it the owner had made a mint somewhere back east. Sophia shook her head as she watched heavy equipment struggle to tame the hillside, prepare it for planting. These days it seemed just about every rich guy wanted a piece of Napa to cultivate his own grapes, make a signature vintage that would rock the world. Deborah will be awarding a $50 Amazon or B/N GC to a randomly drawn winner via rafflecopter during the tour. Happy Monday! I am late with this today. The real estate market is hot and we are out looking for properties to buy. It was a crazy weekend where I was on the road morning until night. But I love it! This week's question is so tough. Which book should I choose? I couldn't choose just one, so here it goes. We learned a good deal about Professor Snape throughout the Harry Potter series, but I think a prequel spin-off is in order. What was his childhood like outside of his relationship with Lily and James? What attracted him about the Dark Lord? Better yet, maybe there was a Lily and Severus romance we never knew about that James destroyed. Another blogger mentioned they thought it would be interesting if The Hunger Games was told from Peta's point of view. 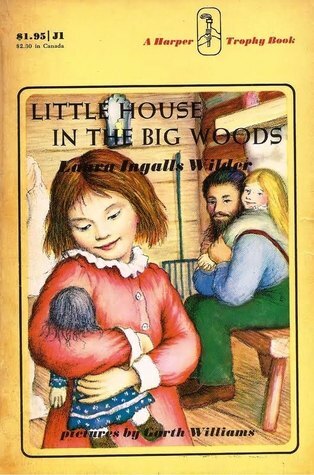 How different would the Little House series have been if it had been told from Mary Ingalls' view point? Instead of the feisty, tomboy Laura and the relationship with her beloved Pa, would we have enjoyed climbing into the head of good girl Mary Ingalls? Would it be Mary and Ma instead of Laura and Pa we remember most? Gordon Butler has been one of my favorite characters in the Rocky Bluff PD series. I would love to see a Gordon spin-off; maybe he transfers to a new police department somewhere else in California or out of state. Maybe he has a chance to be seen as more of a hero than the cop with all the bad luck. What characters would you like to see have their own spin-off stories?